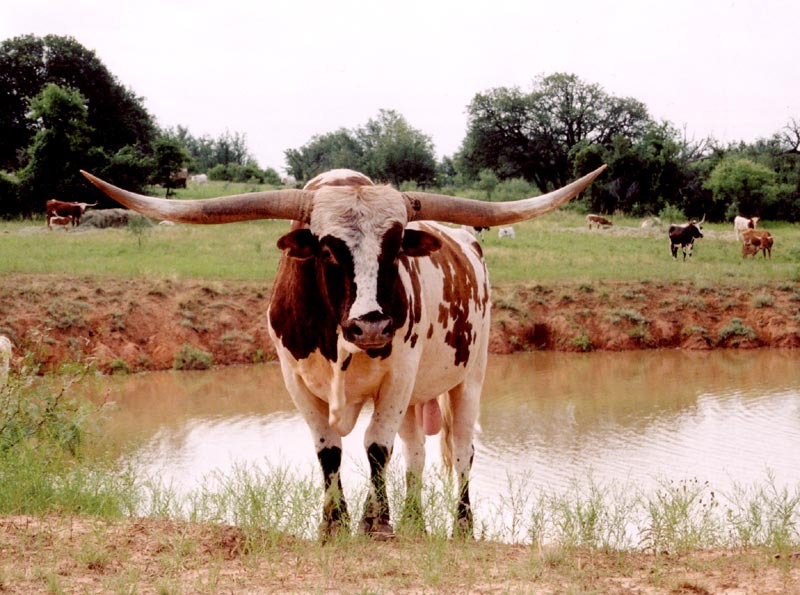 My interest for Texas Longhorn began in 1995, where I was to a Livestock Show in USA, and I saw some special cattle with no compare to any other cattle. 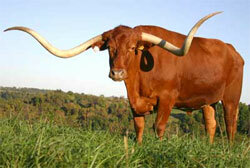 Texas Longhorn are all different from each other; personality, color pattern as well as extreme lenght of horn. 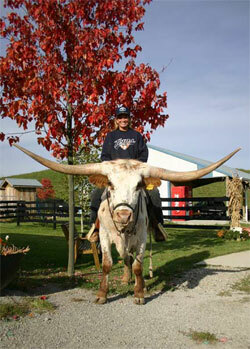 Texas Longhorn is the living symbol of the old West. 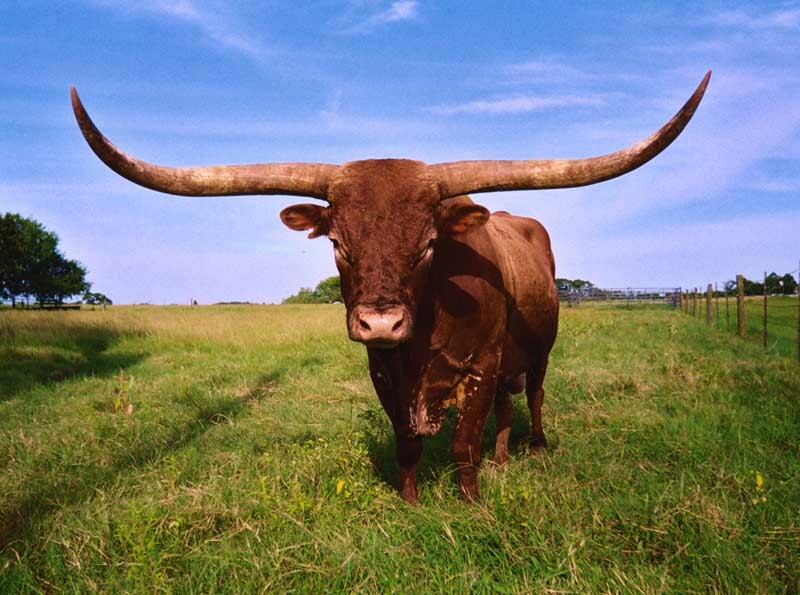 Where ever ther western influence is desired - front pasture, cattle drive, or tourist attraction - you will find a demand for this magnificent breed.